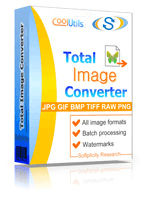 Convert NEF to PNG raster images online and without registration! Try the NEF to PNG Online Converter now or take our Great batch Tool! Description NEF is a native Nikon RAW format for storing camera shots. It provides 100% image quality with ability of nondestructive editing. Capture NX 2, ViewNX2 are the programs that can open NEF images. Each Nikon camera model has its own NEF format specs. That is why the software for one camera can be incompatible with the shots made by another Nikon camera. All photo settings are saved as a separate set of commands together with image file in order to preserve image quality when editing.